When I started receiving Reiki, I was often told that we receive the healing that we’re ready and open to experiencing. So how to do we open up to receive? How do we trust our healing journey with Reiki? Be willing to experience something new. You might not have seen a vision or felt subtle energy in your life before but today’s a new day and the possibilities are infinite. Trust the signs, synchronicities, and messages that led you to Reiki. Did you feel a nudge from your Highest Self to consider Reiki? Did you find your Reiki practitioner through synchronicity? Know that you’ve connected with Reiki and your healer for a divine reason. Acknowledge any resistance you are feeling. Feel any distrust you have regarding Reiki and energy healing. Allow yourself to raise questions. Allow yourself to not have all the answers to those questions. It’s ok to not fully understand Reiki before you experience it. We don’t understand the ins and outs surgery before we go in for surgery. But we can observe what we’re learning. Flow with what is asking for healing. You may have thought you needed Reiki for your back pain but maybe the healing has you reconsidering your perspective on your finances. Trust this process. Trust that Reiki will bring up for you exactly what needs to be healed in that time and place whether it be a thought, emotion, ache, disease or energy blockage. Ask for a message or a sign. Ask your guides, “May I be assured with a clear message if I’m on the right track with my Reiki journey.” You can even ask for a specific sign such as a flamingo or hydrangeas instead of a message. Open up to Reiki on all levels of your being. Know that your healing can happen in any one of your koshas. 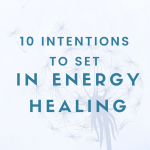 Welcome healing in all of your bodies–physical, subtle, emotional, mental, or spiritual. Let yourself know that you’re in a safe place and it’s ok for you to release, change, and heal. Your subconscious is listening and will respond to your words. Ask for protection and an energetic blessing from those who you connect with the most. 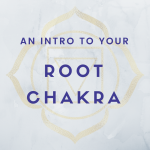 Envision a white or golden chord linking from your heart, third eye or crown chakra and connecting to your guides. Remind yourself what you have faith in. Can you surrender to your body’s innate ability to heal? Can you trust the energy of love? Can you trust your life-force? Try to observe yourself and witness your healing without overly analyzing yourself. Can you observe the changes in your body, mind and soul? Open your heart chakra to receive by calling in gratitude. Find gratitude for anything that is going right for you. Anything that brings you joy will open you up to receive more Reiki. Whether it’s a big dream that you recently achieved or the smile of a loved one, the gratitude in your heart’s center will open up your heart chakra. What leads you to trust Reiki and your healing journey? Let me know.